The following was reported by global moderator ethercat at Reaching For The Tipping Point Forum some years ago. It is a statement posted by a Narconon victim at Why We Protest forum. We think it’s important for visitors to our website to have the opportunity to read it. Some of the allegations are common to what others have stated in court filings, complaints and surveys which we have posted on Narconon Reviews. However, this particular attendee’s experiences at Narconon Colorado also highlights what we have come to see as the more serious dangers of the program. I’m bringing this over from WWP for more exposure. I have heard a lot of sad, sad stories from people who have been to various Narconons, but this one just rips my heart out. But i did, to my horror, THERE WAS NO COMPASSION or COMFORT only suffering. When arriving i couldn’t even find a sign, and the facility was not what i expected it to look like for 30$grand, maybe the detox center i thought– but not what i was described with mountain views, only houses and depressing landscape. One time on my third night my heart pulse went nuts i felt like dying and i had breathing probs i went to the 2 young staff -Chris, and Ashley and told them something serious was wrong with my heart and was there asprin and i was told i couldn’t have any, it wasn’t allowed-i said “i need help” and a look of worry and panick was on their faces–But NOTHING was done about it. i went to my room and assumed i’d die in this Hell hole alone. i prayed hard that night,-and i survived. Nothing was ever mentioned about it, and from that time on i seriously questioned the facilities practices. i was made to do light TR’s all day long, you weren’t allowed to rest or sleep just repeditive silly TR’s and questions. The withdrawl bathroom didn’t work ( and it stayed that way till near my departure) and one had to walk down the hall to other bathrooms, which is wrong, especially when your dope sick and need to vomit- or have a bowel-movement of terrible diahrea brought on by vitamins and what i called the ‘douche’ drink, Cal-mag, “Drug Bomb” you were made to ingest–it was terrible, with the diahrea came dehydration and weakness, sleep constantly interupted by going to and from the bathroom at night, and throw in withdrawl symptoms of alcohol with no meds, i was in such torment! !-And i started to resent the place with a passion. In the morning when i sat down for an interview with withdrawl admin ( i’ll call Molly)- i told her flat out i wanted to leave, “today”- i told her the place sucked and the care was neglectful and i was miserable -Molly asked me to” please stay”, ” just hang in there, promise you won’t leave? i’ll help you through anything”-so i gave it another chance, i kept that promise for 5 long months. a promise i regret. My wallet, and I.D. were confiscated at admittance but i had 600$ sewed into my Bible,incase i had to escape,they try their best to keep you there, i know the police were called by students just to get out, many simply ran away it was so bad. Another tactic that outraged me was staff telling my parents i wanted to drink and i was negative, my plees for help to my parents fell on deaf ears, i told them about the scientology– but Narconon convinced them they weren’t. When released into population you are given work to do ‘and chits,and MEST meeted out if one never did his/ her work, ‘students’ as we’re called were charged with cleaning ,outside maintenance and dishwashing,it’s a heart breakin’ job to do, especially alone, as i did. Between 8hrs of classes, work, and stress i was worn thin, and litterally, i was so at my limit with sress and sleep depravation i started breaking down, i lost extreme amount of weight, i came in at 276 lbs and came home weighing 186lbs!! During my stay there were staff that were getting high or drunk–Tristen (or Chris) came in very drunk after New years celebration-( You can see Narconon worked for him) Blake H. who worked in ‘Ethics’ was using drugs at the time, ( how unethical is that!!) and finally fired, Dave H, was using drugs as well ,while preaching the glorys of Narconon. In one incident while on a walk with Chris and Dave H, Dave ran off with a female student for over 40 minutes!! and these people are intrusted with your daughters?? Absolutely indecent and unproffesional!! Dave H. was finally terminated for having relations with female students and failing his UA after someone leaked info on him–I knew for myself then that this program was a joke!! I will not speak much about Sauna there are many horror storys out there, mine was of torture, in order to EP effectivley you had to give them what they wanted to hear, like “sauna has helped me alot and i feel better and brighter” but i refused to do even this, i never gave them what they wanted, even a success story on the miracles of Sauna which they reprint for their propoganda. And so my time was made longer, 34 hellish days. any complaints of discomfort or stomache pains were ignored or were called ‘somatics’, ‘misemotion’, and ‘originations’ trying to convince me it was all in my mind , or i was at fault for it. The intense heat wasn’t an issue with me it was how it messed with my lung disease and the high amounts of Niacin that played havoc on my diabetes!! i suffered Keto-acidosis for months after from high blood glucose– day after day feeling nauseated, thirsty and extreme faint spells is inhumane to let a diabetic go through! !-and noone in the facility did anything about it– except for Molly and “Jersey” if it weren’t those 2 i’d have to wait for hours before someone opened HLO so i could get insulin!!! But Narconon wasn’t done with trying to drive me to break, Brad Petit showed up from Narconon State (California) and drove me to a point of Suicide, i was put on hold for voicing my opinions on just how foolish the reading material was, that my life long struggle with anxiety and depression was coming from “Supressive people”-we had many chats together in his office (all bad)-Never met a staunch Scientologist like him, he even admitted it. He decided to make an example of me, ex students will say objectives “breaks a person’s will” He made Objectives try to break me, when i EP’d Objetives All-12, Petit had me do book 4A over again and told the Supervisor to “give him extra objectives to do”!! The Supervisor in privacy said “this isn’t right B, i’m sorry..i really am”-but she was kind to me in my disress and i have the greatest respect for her. Brad Petit did the most retched deed to me finaly on Valentine’s Day, i was called to his office and asked had i spoken to my best friend Adam, i said “no, hasn’t returned my phone calls…want me to ‘disconect’ with my friend Brad”?? He turned to me and said, “i’m afraid you can’t, he’s been dead for months now we’ve kept it from you till now, yes, he’s DEAD B, want to talk about how you feel”?? That snapped me, what a degenerate, sadistic old man!! for one month i worked in mental pain, i was expected to do my work, classes, all that with the loss of my best friend on my mind always and being told that was supressing me! But Petit’s act backfired on him, some staff dissagreed, stood up for me and one in particular helped me get through it all and those few i have so much respect for. 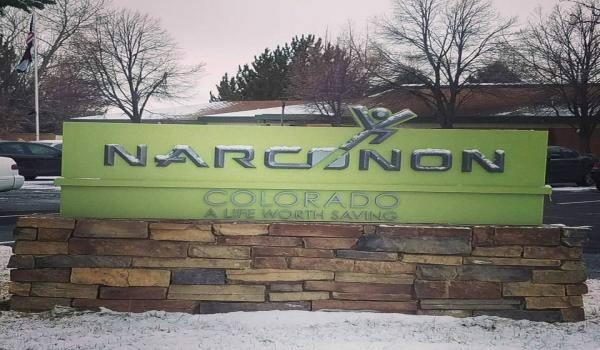 For some time, Narconon Colorado in Fort Collins was supervised by Narconon Fresh Start (Formerly Narconon Southern California). This ended a couple of years ago. The program promotes itself using the assumed names A Life Worth Living and A Life Worth Saving) Click the names to see the many documents and complaints we have on our site. Glen Petcavage is the long time Executive Director of the Narconon Colorado program. 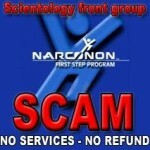 I am a former long time scientologist, and a volunteer advocate for victims of the Narconon programs and internet marketing scams. I am an active member at Reaching For the Tipping Point Forum and privileged to be a part of the efforts of it's membership to help expose Narconon and inform the public.